What does preserving summer fruits and vegetables have to do with Climate Change? 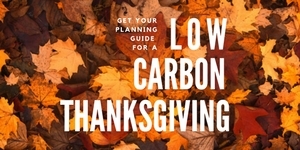 Making small changes on where you source your food, planting a container or backyard garden, and learning to preserve the seasonal harvest can reduce the amount of carbon your household emits. You can also help reduce your carbon footprint by reducing waste of food at home and cutting the transportation emissions of your food by buying local. Have you ever opened your refrigerator and had to throw away your wilted vegetables and moldy fruit because you did not use them in time? In the United States around 25% of food is wasted at home. Food waste that goes to the landfill breaks down anaerobically and produces methane; methane is 21 times more potent than CO2 as a greenhouse gas. But knowing a few easy methods like pickling and jam making can help you reduce the amount of waste you have from your extra produce. 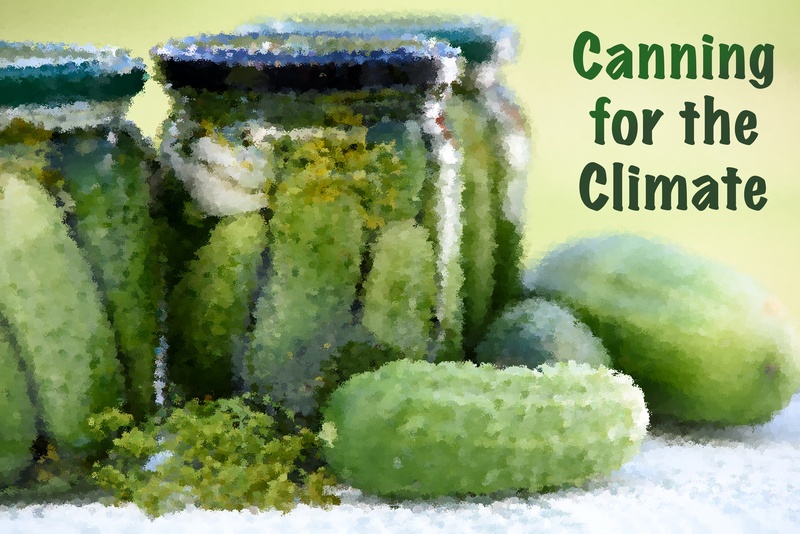 Canning extends shelf life and locks in nutrients without using chemical preservatives or sealing the food in plastic, which can degrade and release toxins into your food. Properly canned food is shelf-stable for up to a year and can be stored at room temperature. From pickles to applesauce, strawberry pie filling to three-bean salad, there’s lots of room for creativity. On average your food travels about 1500 miles from the farm to your table. Food that travels by trucks, trains, planes and ships has expanded our opportunities to get foods out of season but has increased the carbon footprint of our food. Food produces about 8 tons of emissions per household, or about 17% of the total. Worldwide, new reports suggest that agriculture produces around half of all man-made emissions. You can reduce the carbon footprint of your food by up to 7% by eating locally. By buying or growing your foods locally you are taking an easy step to cutting the amount of emissions used for your food. Also consider buying local produce that can be grown in your regions without extra help such as greenhouses. Since you are buying local you have a shorter window of time when you can get your favorite produce. By preserving and canning you can have what you love to eat year-round without having to buy produce shipped from other parts of the world. 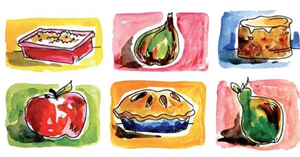 A new phrase is showing up around the discussions of food deserts. Food Swamp. Food Swamps are communities that are flooded with unhealthy, highly processed, low-nutrient food combined with no access to healthier food within walking distance. Faith communities that reside in area that are known to be food deserts or food swaps have an opportunity to make huge nutritional difference in their neighborhoods. Starting or supporting community gardens or hosting farmers markets or CSA drop offs can dramatically increase access to fresh wholesome food to your community. Did you know that nearly half of all food in the United States is thrown away before it is consumed? The way we produce, use, and waste food creates nearly one-third of U.S. carbon emissions. Per-capita food waste has grown by about 50 percent since 1974, and yet there are 50 million people in the United States who don’t have enough to eat on a regular basis. So this holiday season, get in the habit of buying only what you plan to eat. Check out this great Thanksgiving Food Planning Calculator to help you plan exactly how much food you need to buy.